A gymnasium was one of the first buildings erected, and was ready for use when the college opened. This is the first gymnasium as it originally appeared - a swimming pool was added later. The founders of Bryn Mawr College were aware that the arguments of the likes of Clarke and Napheys represented and reinforced the pervasive resistance to higher education for women. 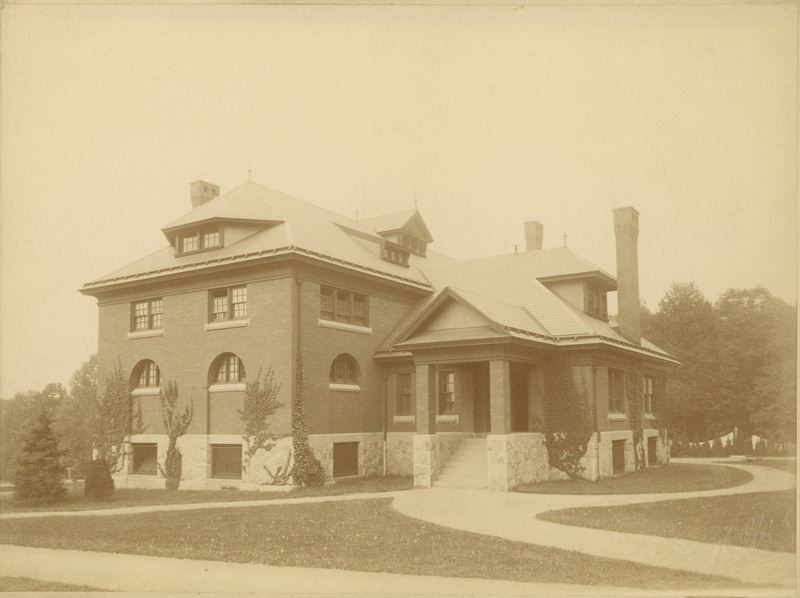 In a typical response for a women's college at the time, Bryn Mawr's administrators made provisions for the physical education of the students, hoping that proper physical activity would balance out the efffects of intense, sustained mental effort. there needs to be a recognition of the supreme value of unity in education, of the harmonious cultivation of man's mental, moral, and physical nature1. Sargent insisted that physical education should be a standard part of the college curriculum (pg. 117-122). Although he was writing about male college students, his influence can be seen in material produced by Bryn Mawr College's administration. 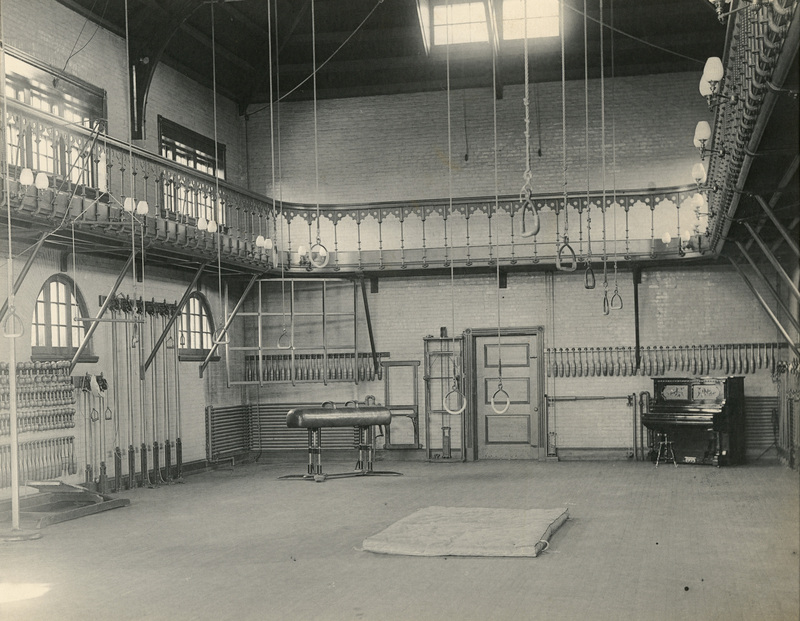 The first Bryn Mawr College gymnasium outfitted with the gymnastics equipment recommended by Sargent. It should never be forgotten that education should be simply the best and most equable development of all our powers, bodily and mental. The aim of a college should be to have its students at thirty as perfect in body, mind and spirit as they are capable of becoming … The experience of colleges for women has proven that if students enter free from disease and live under proper sanitary regulations, they enjoy as good health as when at home. The precautions to be taken, then, are to admit those students only who have mental capacity for collegiate work, to provide in the buildings and general mode of life the best sanitary conditions possible, and finally to add special facilities for agreeable and skilfully regulated exercise. ... It is proposed to have the gymnasium under the superintendence of a directress, who, from a thorough knowledge of Dr. Sargent’s methods, can successfully apply them, and who can inspire the students with a love for the health-giving effects of well regulated exercise2. Caution, moderation, and the instruction of a trained professional woman were all seen as essential to successful physical education. 1. Sargent, Dudley A. "Physical Education in Colleges." Physical Education. Boston; New York; Chicago; London: Ginn & Company, 1906, pp. 109. 2. "Physical Culture." The President's Report to the Board of Trustees for 1884 and 1885. Philadelphia: Wm. H. Pile, 1885, pp. 18-19.